At GMBProtect, our aim is to provide GMB members and their families with access to greater financial security through insurance policies that protect against the financial impact of major life traumas. Our real understanding of the issues that affect trade union members and a genuine commitment to enhancing the value of membership has helped to establish long-term relationships with major UK trade unions. So far more than 1.5 million people have benefitted from our products and 12 years of experience. As a benefit of your GMB membership, we're offering you the chance to register for FREE £5,000 Accidental Death Cover. Cover lasts for 12 months and is guaranteed acceptance for UK residents aged 18-69. Life insurance is designed to safeguard your family's financial future after you die. It can provide a lump sum to help pay bills, meet mortgage repayments, cover funeral costs and other expenses too. Income protection insurance is designed to support you by replacing part or all of your income if you can't work because you’re ill or injured or become involuntarily unemployed. 50+ Accident Cover is designed for over 50’s to cushion the financial impact of an injury by paying out a cash lump sum if you suffer fractures, dislocations, burns or death as a result of an accident. For more information about the above products and to get a free online quote, visit www.GMBProtect.com/GMB. Prefer to chat? Call us free now on 0800 033 4181. Terms and conditions apply. GMB is an Introducer Appointed Representative of GMBProtect. 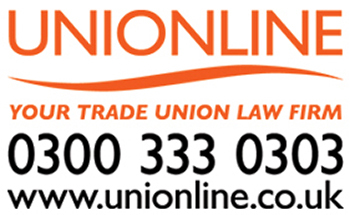 GMBProtect is a trading name of Union Income Benefit Holdings Ltd (UIB) who are authorised and regulated by the Financial Conduct Authority, register number 307575. This can be checked on the FCA website www.fca.org.uk. Registered in England No.03877610 Registered Office: 4th Floor, 7/10 Chandos Street, London W1G 9DQ. GMB Free £5,000 Accidental Death Cover is provided by ACE Europe Life Ltd.